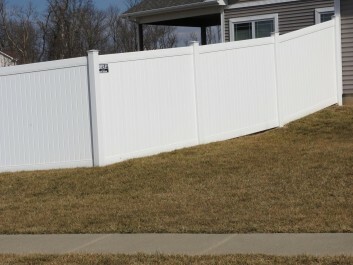 Having vinyl fencing installed at your home in Belleville, Illinois, or any surrounding community, is a wise decision for a number of reasons. 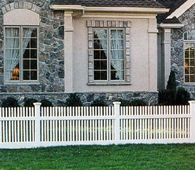 First and foremost, vinyl is an exceptionally durable material that will last long into the future while requiring very little upkeep. 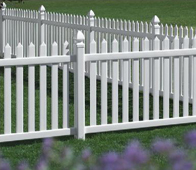 Not only is vinyl more attractive than inferior materials, such as treated lumber, but it will maintain its like-new appearance much longer. 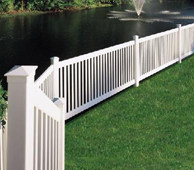 If you’ve decided to make this investment in order to beautify and protect your property, turn to the company that has a reputation among homeowners in the greater St. Louis, MO, area for providing the finest products and installation services – Chesley Fence & Deck. 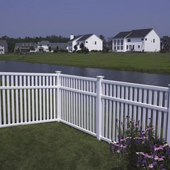 Chesley Fence & Deck can install your vinyl fencing in virtually any configuration to meet your unique needs, and we only use our own factory-trained and -certified employees, not subcontractors, so you can trust that the best available crew is installing your new fence. 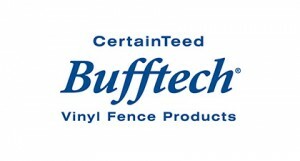 Plus, your vinyl fencing will be backed by an unbeatable lifetime warranty, so you can have complete confidence that you’re making a sound investment. 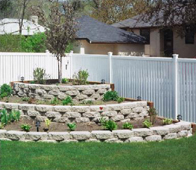 Having served Belleville, IL, and surrounding communities since 1967, Chesley Fence & Deck is the most experienced fencing company in the area, and we are proud to put our unparalleled design expertise and installation skills to work for our customers. 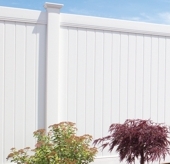 To learn more about our vinyl fencing, contact us today. 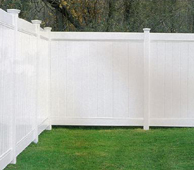 You can also ask about our other fencing options, including premium cedar and ornamental aluminum fencing.